The Board of Directors of Dhunseri Ventures Limited (Formerly Dhunseri Petrochem Limited) comprises of individuals with not just good repute and achievement in their line but also of the deserving. 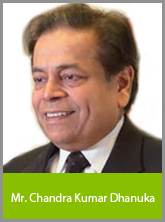 Mr. C. K. Dhanuka is a graduate in Commerce and has over 40 years of experience in the industry. An industrialist by occupation, he is the Ex-Chairman of FICCI (Eastern Regional Council) and is also a member of the National Committee of FICCI. Mr. C.K Dhanuka was the Ex-Chairman of the Indian Tea Association and the Ex-Vice Chairman of the Tea Board. Mr. M. Dhanuka is the Vice Chairman of the Company. He is also on the Board of other Associates companies of the group. 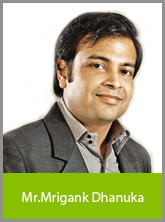 He is a B.Com (Hons) graduate from Calcutta University. He has also undergone a three year course on Industrial & Operations Engineering from university of Michigan, USA. He had his initial training with the group companies and has gathered considerable experience in all areas of business, particularly in Tea & Petrochemicals.